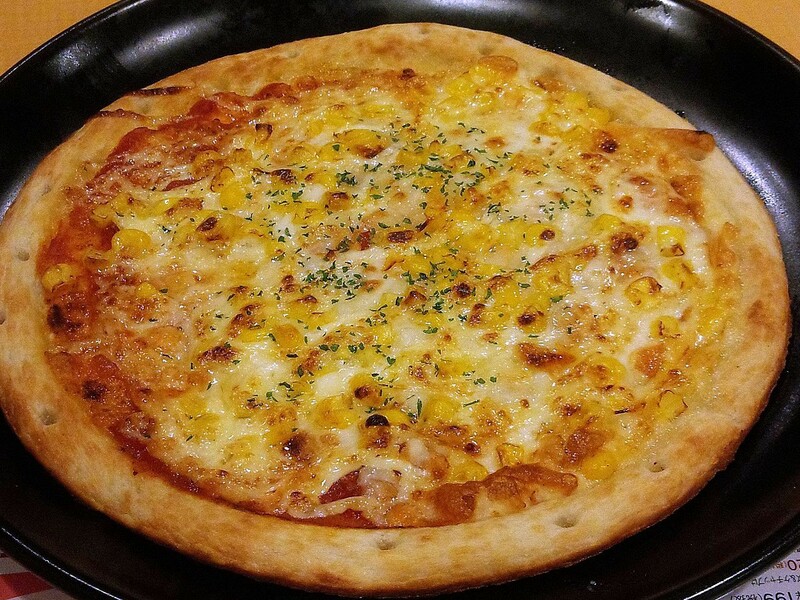 A pizza made with maize in the crust, one of many unregulated food allergens. Image credit Lombroso, CC-SA 4.0. How to shop safely with severe food allergies? A lot of people think they understand more than they do. Medical News Today has published a list of tips for living with serious food allergies. We’ll focus on the first tip because the public often assumes the labeling laws are more comprehensive than they really are. There are two facts to unpack here: one — stated prominently in the piece — is that 11% of consumers with allergy concerns purchased products in spite of a “may contain” warning; a more important point expressed later in the article is that US manufacturers are under no legal obligation to disclose a “may contain” warning. In other words, a nut-free candy bar could made on the same equipment that handles peanuts — and the manufacturer doesn’t need to state any caution. “May contain” warnings are voluntary; so are “free from” allergen statements. The only thing the FDA regulates is that if a product does carry a voluntary disclosure then the disclosure has to be true. There is not any standard phrasing mandated for these voluntary statements, which is the reason behind hideous syntax such as packages of nuts that state, “may contain nuts.” Although those instances are widely mistaken as overregulation for Darwin Award contenders, the actual problem is underregulation so loose that packages of (tree) nuts sometimes carry warnings regarding (pea)nuts and vice versa, without anyone in the product approval process flagging the wording. The average shopper is unaware that the layman’s term “nut” can apply to two completely distinct classes of allergen. It is possible to have a deadly allergy to tree nuts without having any allergic reaction at all to peanuts; the reverse is also true. Almonds grow on trees; peanuts are legumes that grow on a little vine in the ground. “Nut” is a layman’s term that carries no medical significance. Image credit Osvaldo Gago, CC-by-sa 2.5. So if you have a life threatening food allergy — or if you are shopping for someone who does — the only manufactured products that are really safe are the ones that are sold with a “free from” product statement that specifies the allergen(s) appropriate to that person’s allergy history. No disclosure statement does not imply safety — it is simply an unknown risk. A disclosure of “may contain” states a known risk. Factory cross-contact poses real danger, as highlighted in a 2016 news report of a 22-year-old man who died of a peanut allergy after eating cross-contaminated chocolates. Although fatalities are relatively rare, 150 Americans die annually from food allergies. The US FDA reports 30,000 emergency room visits and 2,000 hospital admissions annually. This is the best case scenario: risk assessment for people whose allergens are covered under the 2004 FALCPA food labeling law. Yet what about the rest of the food allergy community? More than 160 foods have been identified as causes of life threatening anaphylactic allergic reactions; only eight of those ingredients are covered under FALCPA. Safety precautions for those people are another matter entirely, a topic which Medical News Today overlooks and which rarely gets coverage.